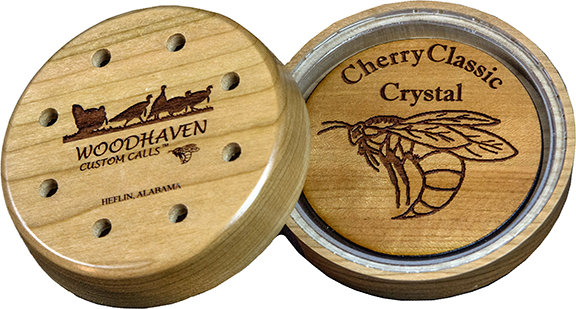 The most versatile of the series, the Cherry Classic Crystal is easy to use. It has a range of sound from the highest and sweetest notes on the front to a raspy absolute drop off across the shelf. The hard biting 2-note yelps and cutts are remarkable on this call. Hunters Specialties Strut Tone Trough Calls Turkey Tutor 3 pk.